Scottish Hockey’s Club Accreditation Programme has been designed to support the work of clubs who have ambitions to be the best that they can be. 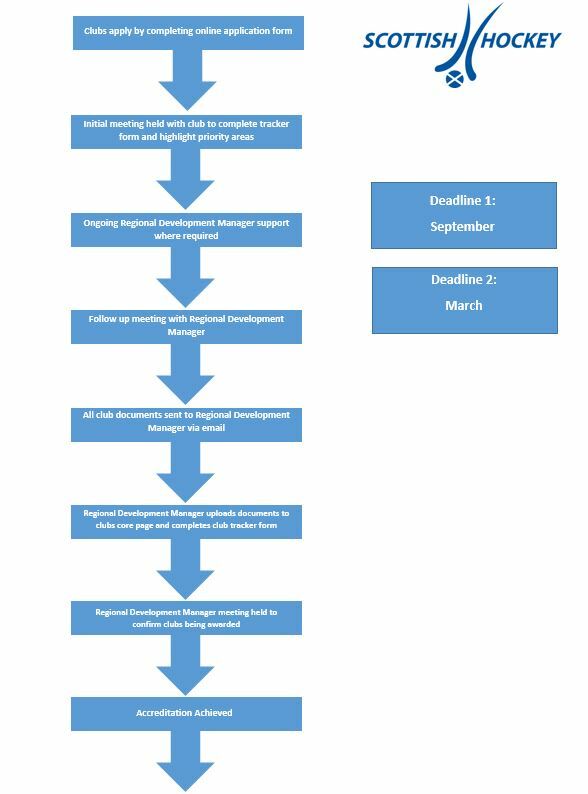 There are two levels to the programme where clubs can work towards achieving Silver Club status or Gold Club status. from specific regional development staff. Once a club has achieved their status there are many rewards and benefits which can be accessed. 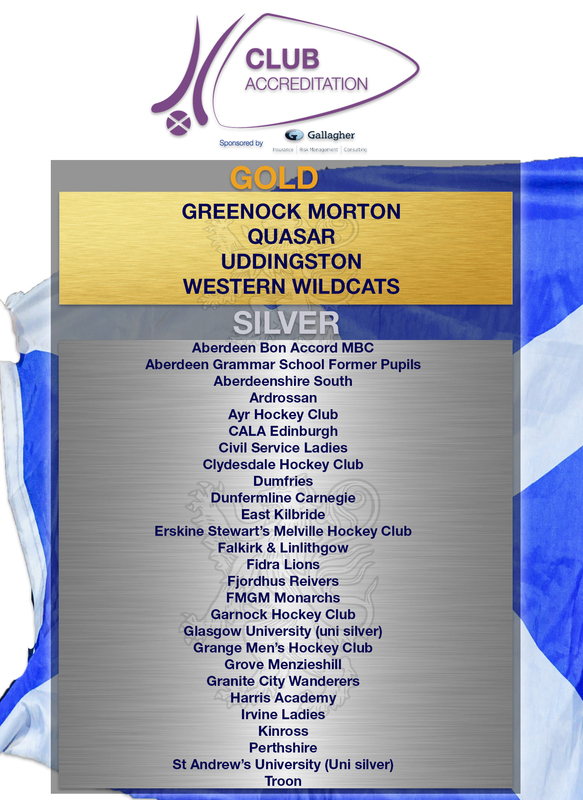 Before applying for accreditation all clubs are expected to affiliate to Scottish Hockey. See our launch video here on YouTube and hear from clubs who’ve gone through the process.